A view of S11D mine surrounded by Carajás National Forest, in Canaã dos Carajás, Brazil, February 2, 2017. This story was produced in partnership with Diálogo Chino, an independent journalism platform dedicated to reporting the social and environmental impacts of China’s relationship with Latin America. Diálogo Chino is a partner site of chinadialogue. In the middle of northern Brazil’s Amazon jungle, Chinese-made digging equipment rasps at the bottom of a giant iron ore mine. Here in the municipality of Canaã dos Carajás in the Serra dos Carajás in Brazil’s Pará state, some 1,600 miles northwest of Rio de Janeiro, Chinese engineers keep watch over a fleet of stackers, reclaimers, and other large-scale equipment in the adjacent ore processing plant that will eventually produce 90 million tonnes of the metal annually. A train with 330 cars (mostly made in China) waits to be loaded up before traveling approximately 600 miles to a cargo ship (also made in China) that will sail for 40 days from the port of Ponta da Madeira in São Luís in the neighboring state of Maranhão, delivering 400,000 tonnes of iron ore to Chinese ports such as Dalian, Caofeidian, Rizhao, and Qingdao. Once there, Chinese factories will transform it into cranes, drilling equipment, and smartphones, many of which will then travel back to Brazil to be used in its construction, energy, and retail sectors. Economic ties with China have provided Brazil with a surge in jobs, profit for mega-mining companies such as the world’s largest iron ore producer, Vale, its shareholders, and service providers, and a positive trade balance with its main trading partner. But as with many countries in Latin America, the overwhelming majority of China’s trade with Brazil has focused on raw materials. This is despite Chinese President Xi Jinping promoting a broader “1+3+6” cooperation framework for the region, as outlined at the 2014 BRICS Summit in Fortaleza and Brasilia, Brazil. The “1” relates to China’s cooperation agreement with the Community of Latin American and Caribbean States (CELAC), a 33-member Western hemispheric bloc that excludes the U.S. and Canada, which was ratified at the inaugural China-CELAC summit in Beijing in 2015. It identifies three “engines of development” (trade, finance, and financial cooperation) and highlights six priority industrial sectors: energy and resources, infrastructure, agriculture, manufacturing, science and technology, and information technology. This concentration of trade in raw materials has demonstrated the low resilience in the face of recent commodity price shocks of Latin American partners such as Brazil, but also Venezuela, Argentina, and Ecuador, and the drive to export more iron ore, copper, soybeans, and oil to make up the shortfall that has led these economies to slip down the value chain. China recognizes this is a big problem. The most recent policy paper on Latin America from China’s Ministry of Foreign Affairs, which President Xi launched at the APEC summit in Lima in November, stressed the need to work on production capacity development, or industrial upgrading, with Latin American partners. 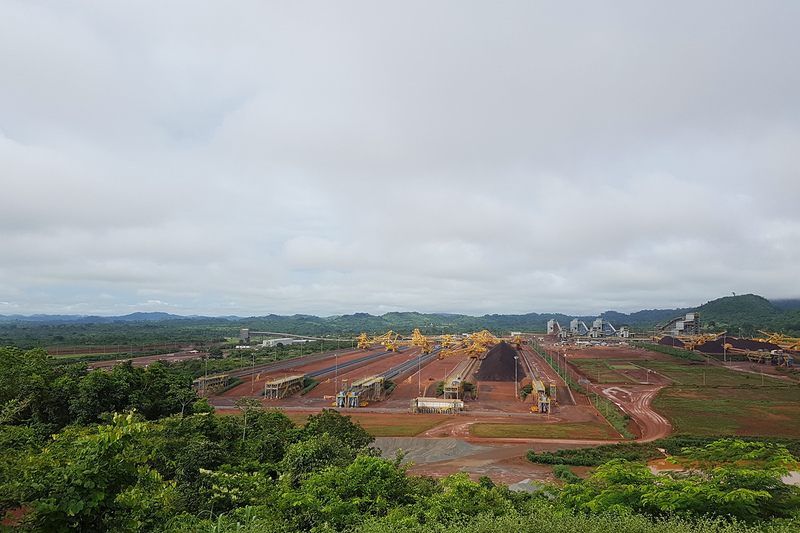 However, operations such as the S11D mine in Canaã dos Carajás which serve the Chinese market continue to massively outweigh other new projects in value-added or manufacturing sectors. Large-scale iron ore mining has drawbacks for the environment and rural communities, too: enormous holes in Amazonian soil that will never fully close, silted and contaminated rivers, destroyed caves and natural ponds, the impending disappearance of Monogereion carajensis Parapiqueria cavalcantei, Ipomoea cavalcantei, and other endemic fauna from the area, and agrarian conflict. Furthermore, in a bid to increase economic output, the Brazilian government is rolling back laws protecting biodiversity and indigenous peoples from big extractive and infrastructure projects. Earlier this year, Brazil’s federal government cut the size of a conservation unit in Pará by 1.2 million hectares in order to allow a railway to be constructed and to open up new possibilities for mining operations. The government’s far-reaching but unpopular austerity program also includes slashing the federal budget for environmental protection by 43 percent. Alfredo Sirkis, the Executive Secretary of the Brazilian Forum on Climate Change, recently told think-tank Observatório do Clima (Climate Observatory) that cuts would profoundly impact deforestation and, consequently, Brazil’s ability to meet climate targets made under the Paris Agreement on climate change. At the end of December 2016, Brazilian mining company Vale’s U.S.$14.3 billion S11D project, the largest open-pit iron mine on the planet, began operation. Construction required 244,000 tonnes of concrete, some four times more concrete than Rio’s new Maracanã football (soccer) stadium. The giant project was primarily set up to cater to Chinese demand and includes a railway extension and the expansion of Ponta da Madeira port. Chinese equipment accounts for about 80 percent of all machinery used in the project, Diálogo Chino/ChinaFile learned when visiting the site in January. Vale declined to disclose the names of buyers when asked via email, but the company’s main clients are Chinese, according to the company’s latest quarterly results. In 2016, 57.6 percent of all sales from Vale went to Chinese customers. A deforested area near an access road to the S11D mine, in Canaã dos Carajás, Brazil, February 2, 2017. According to Leonardo Neves, Vale’s senior leader for the environment, socioeconomics, and land ownership management for the S11D project, Vale representatives traveled to China to seek partners for the project, which was conceived in 2003. Pará depends on China for around 35 percent of its total exports. Of its exports to China, iron ore extracted from within the state’s borders—an area around five times the size of the U.K.—accounts for 80 percent. 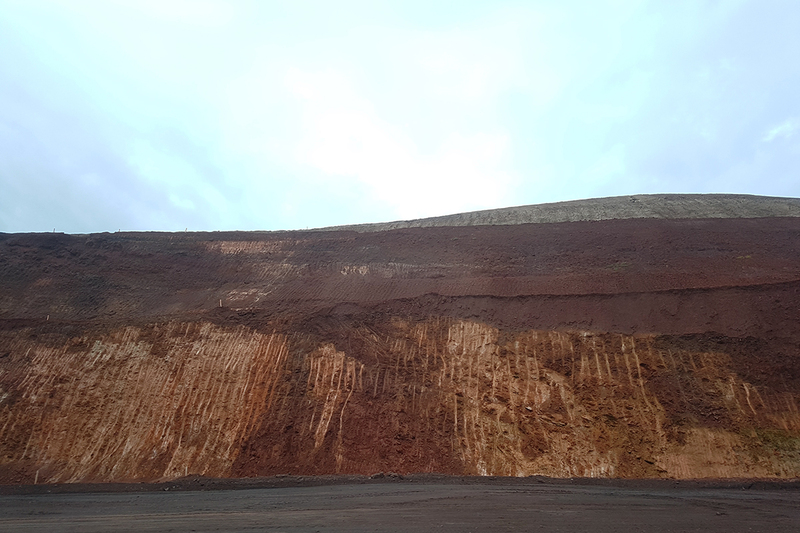 The increased production at S11D—Vale expects to export 90 million tonnes by 2020—will make Pará the biggest iron ore-producing state in Brazil. The S11D mine is located in an ecosystem called a canga or metallophile savannah, tropical forest that sits on a consolidated rock formation consisting mostly of iron. But these rich metal deposits form the basis of an ecosystem that is also very vulnerable. “An ecosystem of this type in the middle of the forest creates an evolutionary situation conducive to the emergence of endemic species, caves, and lagoons, which need to be preserved,” explains Frederico Martins, head of the Carajás National Forest where the project is located. “At least 40 botanical species are only found in this place. If mining takes place across the savannah, we are going to eliminate an entire ecosystem,” adds Martins, who is also an environmental analyst for the Chico Mendes Institute for Biodiversity Conservation (ICMBIO), the federal agency responsible for environmental monitoring of the area. The operating license for S11D, which was granted by the federal agency the Brazilian Institute of the Environment and Renewable Natural Resources (IBAMA) after ICMBIO and Vale reached the agreement on forest protection, also requires the company to stay at least 500 meters away from two perennial high-altitude lakes, Violão and Amendoim, which are located next to the mine. Other projects belonging to the company, such as mines located in the mountains in the north of the Carajás chain known as the N4 and N5, have destroyed similar lakes, says Martins, who adds that ICMBIO is still unclear on how these two lakes will be preserved but will intensely monitor the operational phase of the project. “There’s land ownership chaos in the Amazon, nobody knows who owns what land. That’s a big problem that we need to solve,” says José Benatti, Director of the Law Department of Federal University of Pará and a specialist in land conflict. “The companies might not be violent themselves, but they create a pressure on the land market that makes the one who owns a land title sell it.” Benatti explains that third-party buyers often come with threats in order to acquire titles, which they then sell to big companies. “I’ve been trying to find a new job for four months,” says Joelson de Lima, who worked on S11D. Vale and the local city government’s response to the problem consisted mainly of paying travel expenses for unemployed workers brought in for the initial phases of the project to return back to their places of origin. City dwellers interviewed for this story have also reported an increase in violence in the region that they attribute to a result of intense unemployment and the proliferation of brothels. On his most recent trip to Latin America, Chinese president Xi Jinping stressed the need to work with Latin American partners to reduce their economies’ dependence on the export of primary products. In support of this, last month the Chinese and Brazilian governments launched a joint U.S.$20 billion “productive cooperation fund,” which aims to reduce imbalances in the trading relationship whereby Brazil mostly exports raw materials and imports manufactured products with value-added.